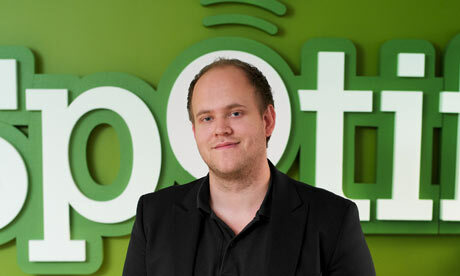 If Spotify founder is among the UK's richest, does it mean that starting a business in Sweden is hard? Well, Daniel Ek, founder of the music streaming service Spotify, made it onto the Sunday Times' annual list of the UK's richest people. Ek, a Swede, lives in London and has a fortune valued at about 350 million US dollars, writes newspaper Svenska Dagbladet, citing the Sunday Times, reports radio Sweden. But why are most Swedish young entrepreneurs making their wealth by developing their internationally facing businesses mostly if they move abroad or start their business from abroad. Sweden is seen as one of the best places to do business in the world but it is seen to be good for the big international companies and not very good for smaller starts ups. One major problem with starting a business in Sweden is the excessive demand for capital. Although the government says that a start up capital for a limited liability company in Sweden should be Skr50 000, down from Skr100 000 some year ago, entrepreneurs end up forking out more before their business will start making earnings. Experimentation in business in Sweden as could be seen in places such as the USA or Japan is not possible in Sweden as such real entrepreneurs will tend to migrate abroad to grow their businesses. See also that the richest among Swedish people living in the United Kingdom is the Tetra Pak heir Hans Rausing and his family.